I am participating in this event with my Mom and she wants to go as Cinderella. I look at this as a win-win...I can make her happy by being Cinderella w/ her at the 5K and wear this outfit during the Glass Slipper Challenge the following month. 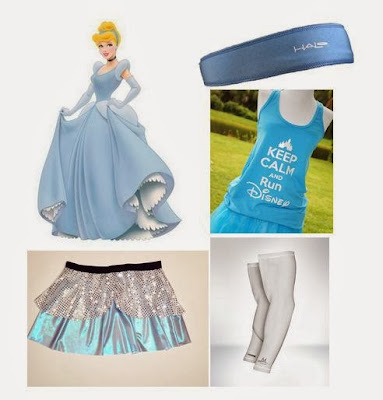 This outfit will include a skirt from Rock City Skirts, a Halo II Headband , Mission Athletecare Enduracool Arm Sleeves . I already have a Minnie Mouse Outfit thanks to an impromptu fashion emergency during Wine and Dine Half weekend a few months ago. This outfit includes a Minnie Mouse Bow headband and shirt from Raw Threads and a Diva Pink skirt from Sparkle Skirts. I was Mickey Mouse at my very first runDisney event and again the following year at the 2013 Walt Disney World Half Marathon. I want to keep the tradition going during this 4 day weekend. I am happily repeating last years 1/2 Marathon outfit. 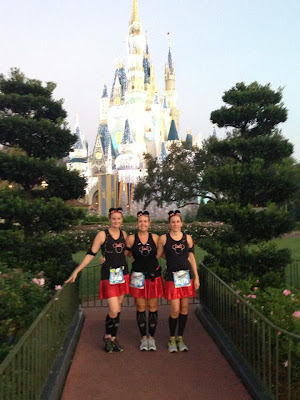 A Sparkle Skirt in Royalty Red, a Nike Shirt with a Mickey Mouse rhinestone iron on I found on eBay, and Minnie ear barrettes found at Downtown Disney. Dopey Dopey Dopey - it is your fault that I will be running 48.6 miles over 4 days. So I must dress as Dopey. 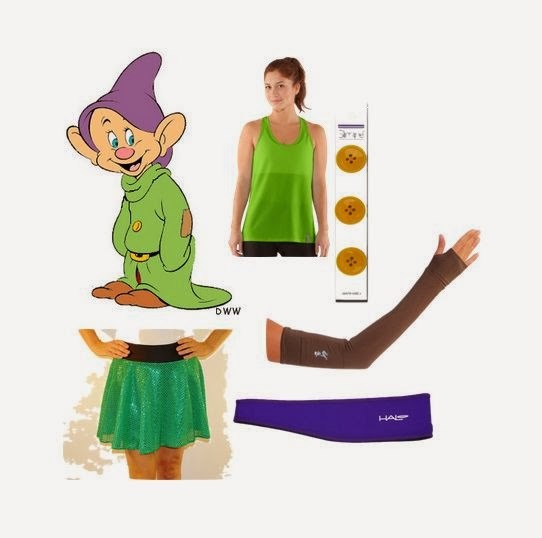 Under Armour Women's UA Fly-By Stretch Mesh Tank , Sparkle Skirts SparkleLight in Green, Halo II Headband, Purple and Running Skirts Brown Arm Sleeves. QOD: Do you dress up for races and if so, what was your favorite outfit?